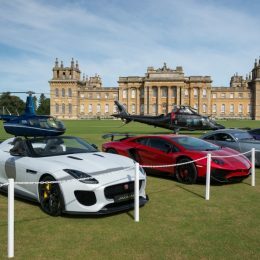 Salon Privé, the Luxury Supercar Show & Concours d’Elégance, took place from Thursday 1st to Saturday 3rd September at Blenheim Palace and attracted over 12,000 visitors to the world-renowned event. 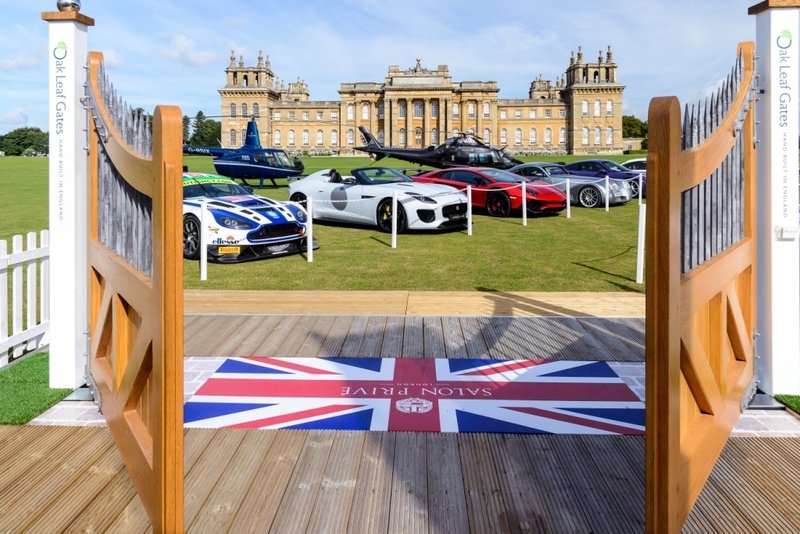 “It is without question our greatest event in our short 11-year history and we were delighted with the unanimous response from guests, exhibitors and sponsors alike,” said Andrew Bagley, Managing Director. 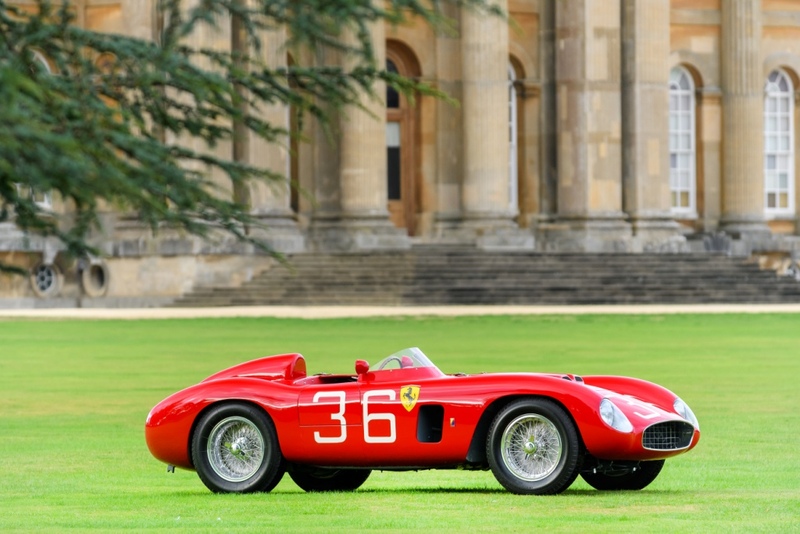 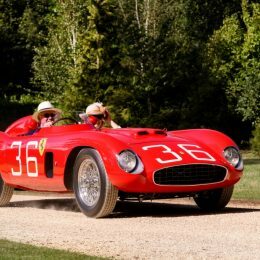 With over 200 display cars across the three-day event, spanning 76 different marques, the jaw-dropping 1956 Ferrari 500 Testa Rossa took the Best of Show crown at the prestigious Chubb Insurance Concours d’Elégance, meanwhile in the modern-day concours the Pagani Zonda 760RS drove away with the overall winning silverware for the Pirelli Prestige & Performance Competition. 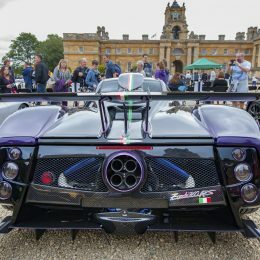 Showcased on the South Lawn of the World Heritage Site were a number of exciting UK debuts, including the striking Lamborghini Centenario Coupé, the British-made Bristol BULLET and the global reveal of the Morgan EV3 1909 Edition made in association with Selfridges alongside the exclusive debut of the Koenigsegg Agera RS ‘Naraya’. 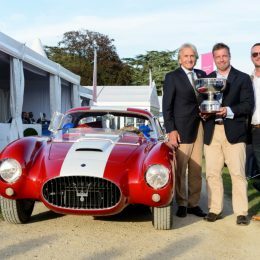 The exceptionally well-informed guests always play a pivotal role during Salon Privé, in voting for their People’s Choice, this year going to the stunning 1954 Maserati A6 GCS owned by Timm Bergold. 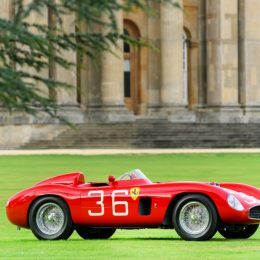 With beautiful Pininfarina coachwork, and one of only four remaining, this Maserati was shown at the 1954 Paris Auto Salon before going on to compete in the Mille Miglia the following year. 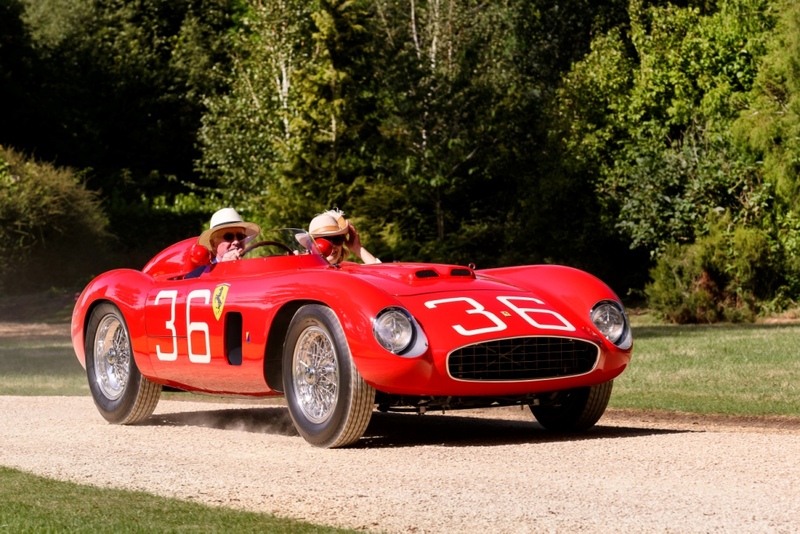 The only one to be in totally authentic and original condition, this Maserati stole the hearts of the crowd with relative ease. 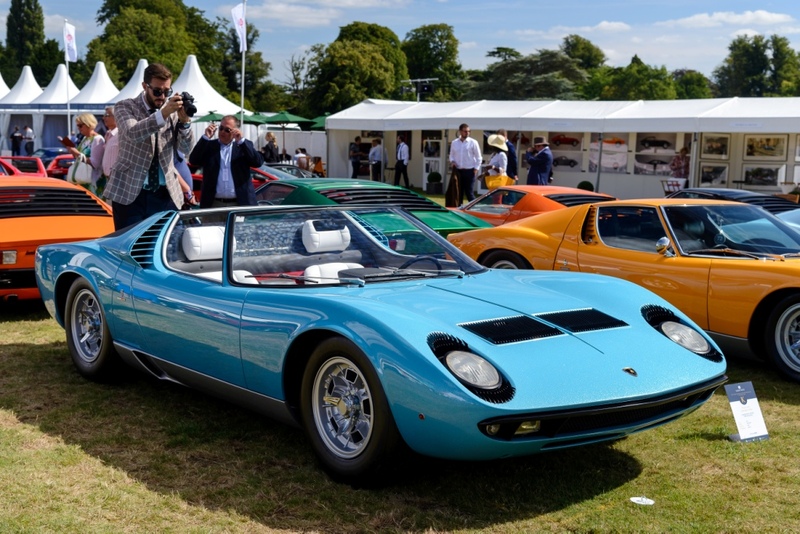 To celebrate the 50th anniversary of the iconic Lamborghini Miura, a stand-alone Miura-only class attracted eight fantastic examples of the supercar on the South Lawn of Blenheim Palace. 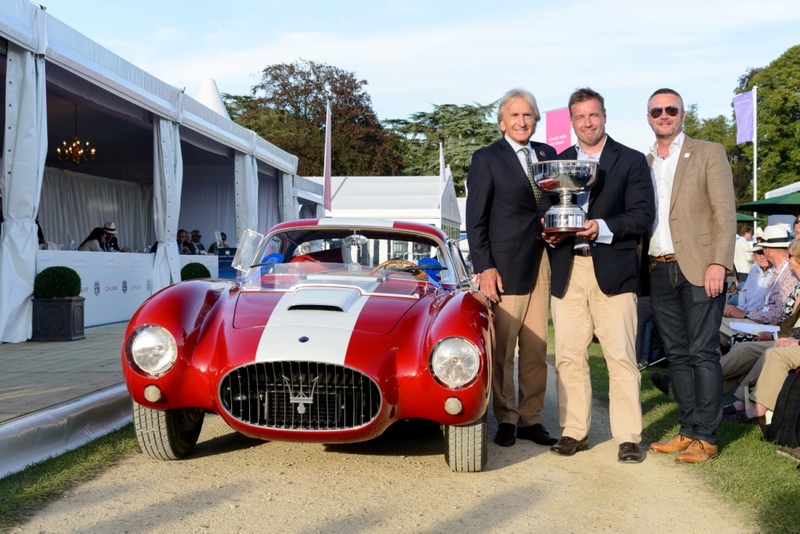 Taking the overall win was the Lamborghini Miura P400SV of Adrien Labi, which had recently returned to the road following restoration by Lamborghini’s historic PoloStorico team. 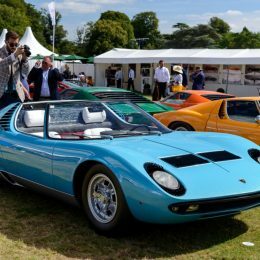 Also on display was the one-off Miura Roadster, the Bertone-styled concept, developed for the 1968 Brussels Auto Show. 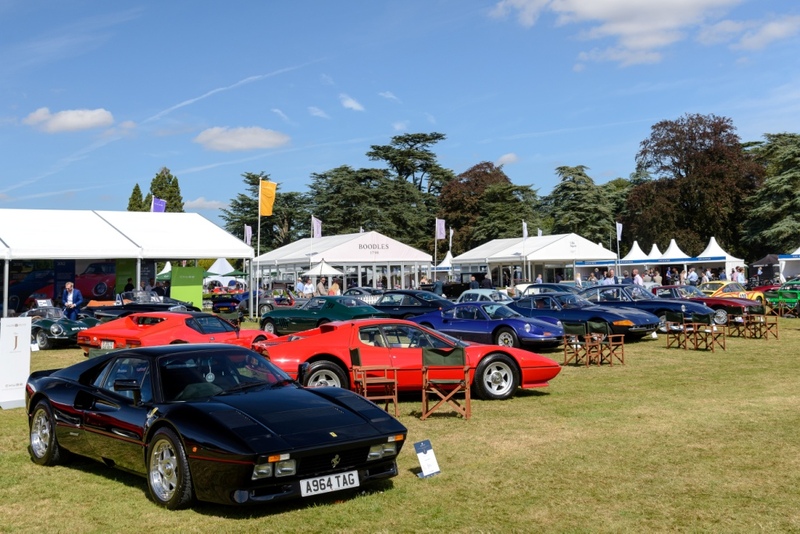 Lining up alongside them in the Rival Supercars from the 80s & 90s category, the giants of their day squared off, with an Aston Martin V8 Vantage, Ferrari 288 GTO, F40, McLaren F1 and Lamborghini Countach all on display. 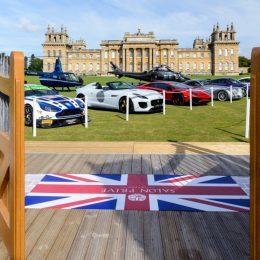 However, despite the fire-power present, the Jaguar XJ220 proved to be the best of the field. 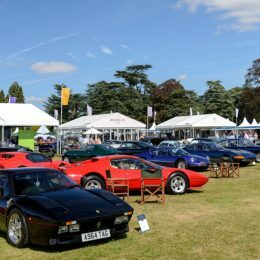 Just as with the Chubb Concours, only days before, and with an equally strong line-up, finding the best was far from straightforward. 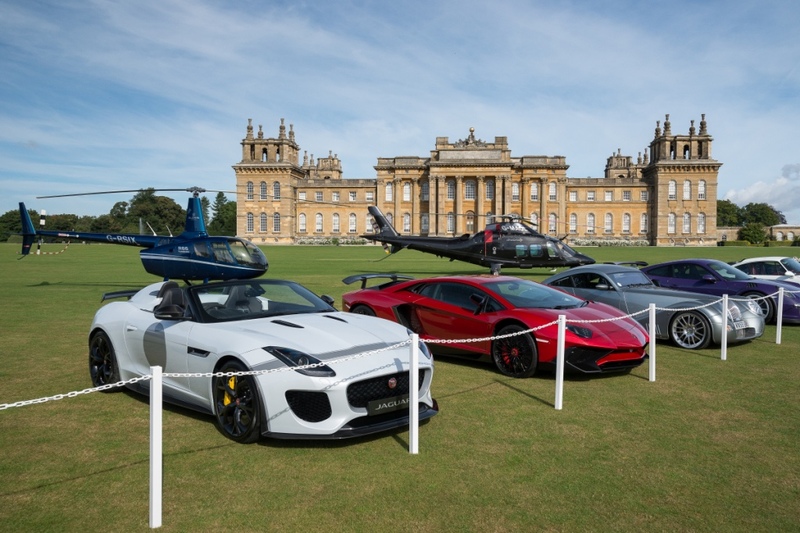 Among the judges of the eight Pirelli-backed classes were British television presenter Quentin Willson, automotive designer Matthew Humphries, award-winning journalist Steve Cropley and Matteo Barbieri, Head of Pirelli’s international commercial focus on Prestige. 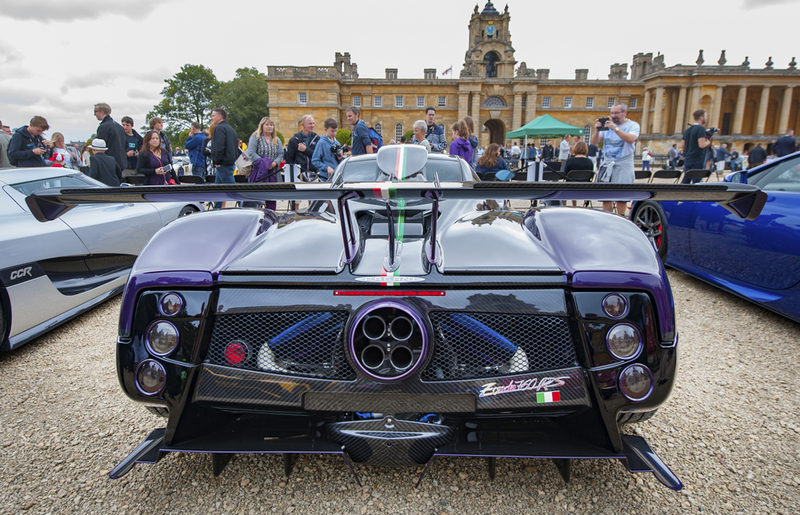 With fierce competition, the overall outright winner and Pirelli Best of Show was awarded to the utterly jaw-dropping Pagani Zonda 760RS.